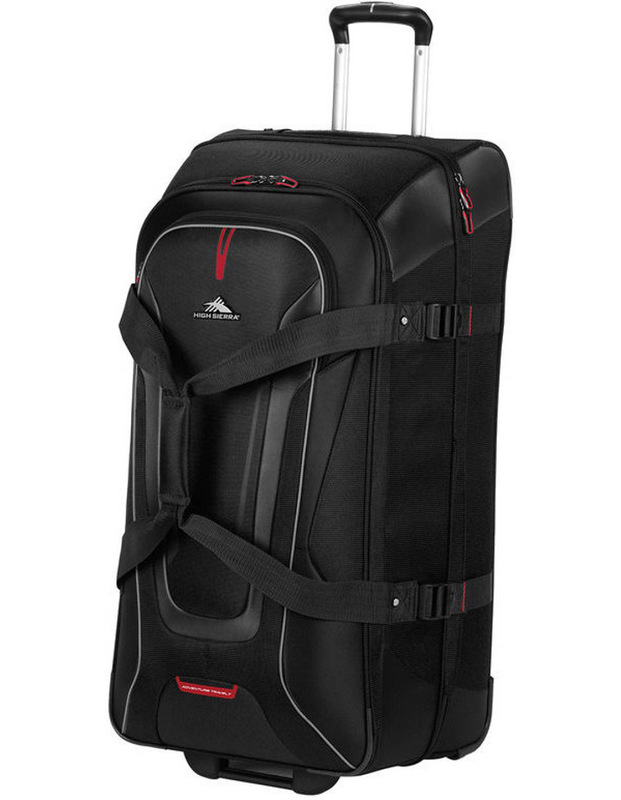 Lightweight and durable, the HIGH SIERRA 81cm Wheeled Duffle Black was made to go the distance. This Wheeled Duffle bag is complete with hidden backpack straps, reflective piping for safety and visibility, a drop bottom compartment with hold down straps and cast metal zips. A special water resistant coating helps protect your gear from the elements, while a special, built-in high-density foam structure helps maintain the bags shape while minimizing weight. The retractable handle provides easy manoeuvrability when extended out from the case, then stores neatly inside when not in use. The handle locks in place in both the fully extended and stored positions for secure travelling. The zipper pull design allows for easy locking.